The year is 2114 and the great war has continued for two hundred years. Shotguns and trench warfare blend with laser rifles and armored mechs as the great powers continue their endless fight over war-torn Europe. 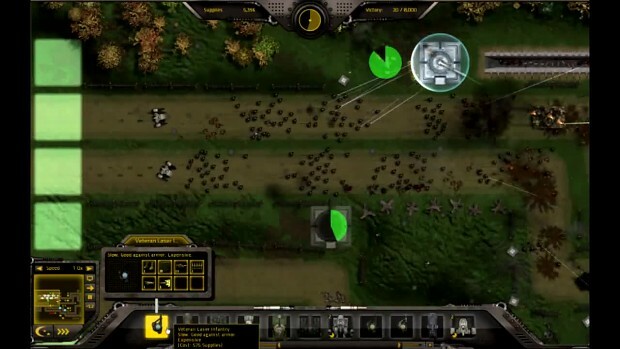 Gratuitous Tank Battles is the sequel to indie space strategy game 'Gratuitous Space Battles'. GTB is an RTS/simulation/tower defense hybrid. The player can be the attacker or the stationary defender in a series of large scale real-time battles. Rather than selecting pre-built units like most Tower Defense games, GTB lets the player customise both the composition, and visuals of their units. An integrated map editor and online challenge system ensures a never ending series of battles to fight and enemies to crush. Real-time target and path orders can be given to your units, and the battles include night-time and night vision modes. Some footage of two battles, one as attacker, one as defender, showing the state of the game in alpha on November 10th 2011, with me (the developer) describing what is going on.